Avalona is a professional fortune teller and card reader with 27 years of experience in card reading (crowley tarot, gipsy cards) channeling, pendulum and many other energetic resp. esoteric methods, tools and spiritual process. Familiar with various cultures, religions and spiritual ways , Avalona is the fortune teller meeting both the eastern and western spiritual approach. Her comprehensive spiritual knowledge and ongoing interest in the ancient wisdom and religions, including celtic, buddhism or natural cultures makes her the most empathic medium in Vienna. Avalona offers personal card reading in individual sessions and personal meetings as well as online card reading, oracle and card reading by telephone (Hotline 0900 440195 – 1,56 €/min in Austria). She is also teaching card reading, holding seminars for tarot and gipsy card reading and author of serveral scripts and numberless articles about fortune telling, cards, oracles, numerology, channeling and many other spiritual topics. In Vienna – among the natives as well as the foreigners – Avalona is not only well known as a fortune teller with humor and charisma but also for her solution orientated interpretation oft he cards. Not only her sensitive and creative approach is as legendary as her phantasy and empathy when reading the cards. Fortune telling and card reading is a descreet and very personal matter and Avalona is specialized in responding to the individual situation of her clients and to answer questions in the most sophisticated way considering their life situation and spiritual condition. 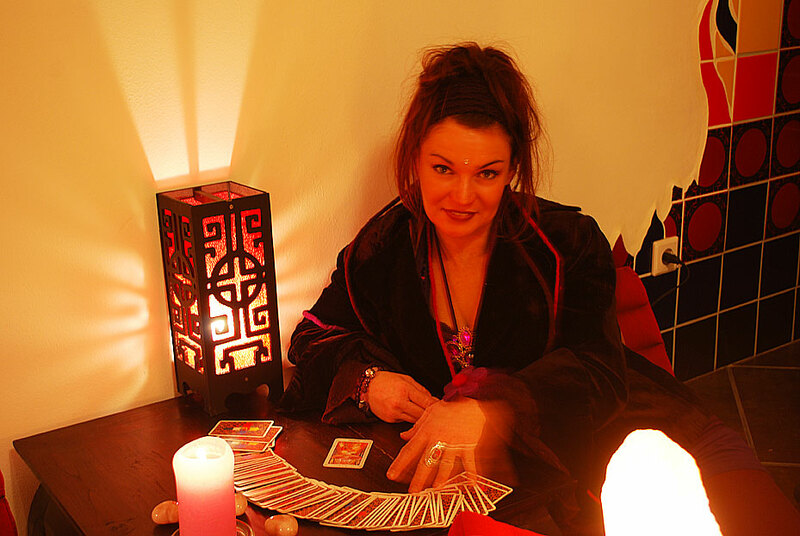 The Austrian fortune teller Avalona offering card reading in German and English language. Personal Reading in Vienna please call or email. Telefone reading worldwide please call or email.